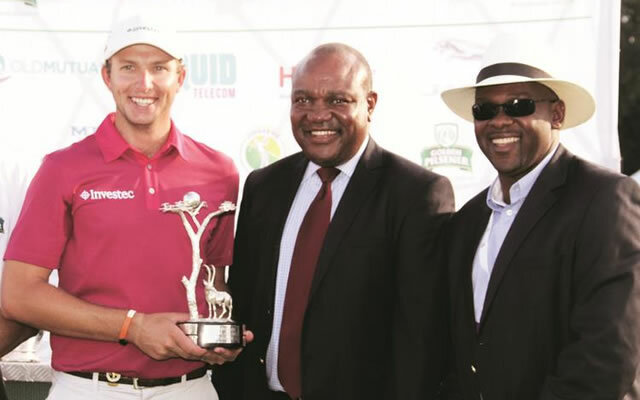 ZIMBABWE-born Dean Burmester exploded in a ball of emotion as he won the 2015 Golden Pilsener Zimbabwe Open after an impressive show at Royal Harare yesterday.The 25-year-old, who is based in South Africa, went on a birdie rampage towards the close for a popular victory after closing with a birdie on the last hole. He was tied for the lead on 15-under-par, with another locally-bred golfer, Brazil’s Adilson da Silva, as they came down the last hole, but Burmester confidently went for the pin and his wedge approach stopped two feet from the cup. Burmester beat Da Silva by one shot. “I had to go for the flag and that was the moment that did it for me, that shot,” said Burmester. “I knew I had that putt to win and the hole looked very small. There was a lot of pressure and I told myself to commit as much as I could. “If you had told me two years ago that I’d be a three-time champ I would have laughed it off, but now it’s real and we’ll be looking to bigger and better things. Having been born in Zimbabwe, he was a popular winner of the R1.8-million tournament at a course where his mother holds the course record. “I have lots of memories of this place and the Zimbabweans who played here – guys like Nick Price and Mark McNulty were huge inspirations growing up. “This is my sixth year in a row playing this tournament and the locals come out to support me every time. To pull off a win in front of them is probably the most emotional thing I’ve done in my life,” he said. Da Silva led by four shots at the start of the day, but he was unable to maintain his pace and carded a sluggish 71 during the final round. Future stars Erik van Rooyen and JC Ritchie both had a superb week and shared third place on 11-under-par.